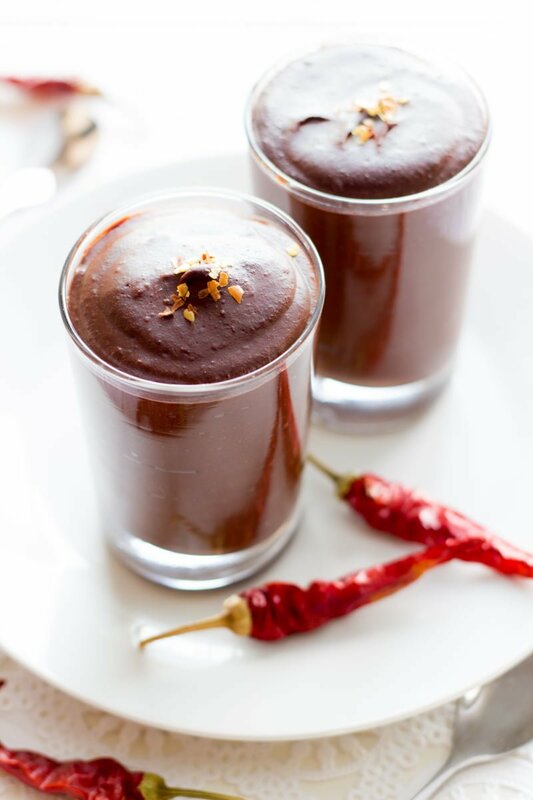 This deeply rich and decadent vegan chocolate pudding is made using dates and Silk® Cashewmilk—no added sweeteners and no animal products! I’ve always been one of those people who really likes Valentine’s Day. I like it all. I like the pink and red and glitter and balloons and chocolates and cheesy stuffed animals and Power Rangers valentines and the candy hearts and the flowers—all of it. I know the arguments against it. It’s just a holiday made up to make the greeting card companies money (maybe). You should celebrate the people you love everyday (totally). Life is about more than just romantic love (absolutely). But keeping those things in mind, I find it really hard to find fault with a day that is meant to celebrate love. I mean, what’s wrong with that? Even when I was woefully (even maybe painfully) single, I still loved Valentine’s Day. A day I get to spread love with wild abandon? Sign me up. I guess part of my love for Valentine’s Day (or ValenTIME’s Day, which is what I thought it was a kid) is that I have a nice, broad definition of what should be celebrated on February 14th—love of any kind. Romantic love, sure, but also love of your children, of your parents, of your friends, of your pets, even of yourself! Even if you aren’t in a relationship, I urge you to celebrate all the loves of your life this Valentine’s Day. It probably comes as no shock in that one of my favorite ways to show my love for those closest to me is to shower them with delicious, yummy, healthy food. 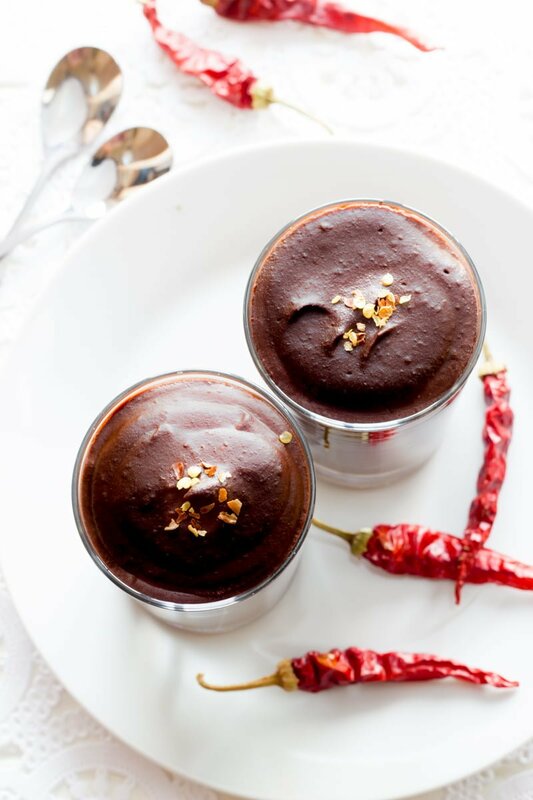 I think one of the kindest and most thoughtful gifts I can give to my loved ones is food that nourishes their soul and their body, like this totally decadent, totally rich chocolate pudding—that also happens to be totally vegan and free of any added sugar. 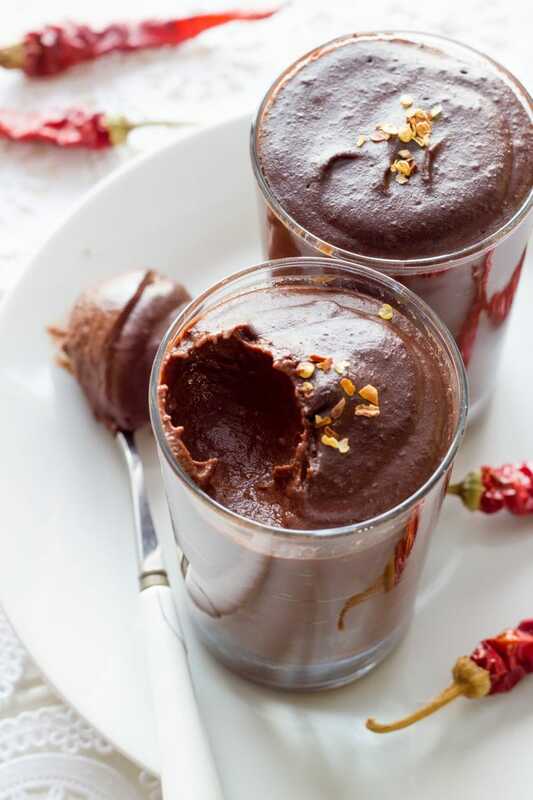 This dessert is intensely rich and chocolately, so much so, I recommend serving it up in small portions in a two-ounce shot glass (like these)—it’s the perfect amount of sweet treat to end a wonderful Valentine’s Day meal, without making you feel like you ate enough sugar to fill a candy factory. I love mini desserts; I mean really, do you need more than just a few bites of a dessert after a big meal? 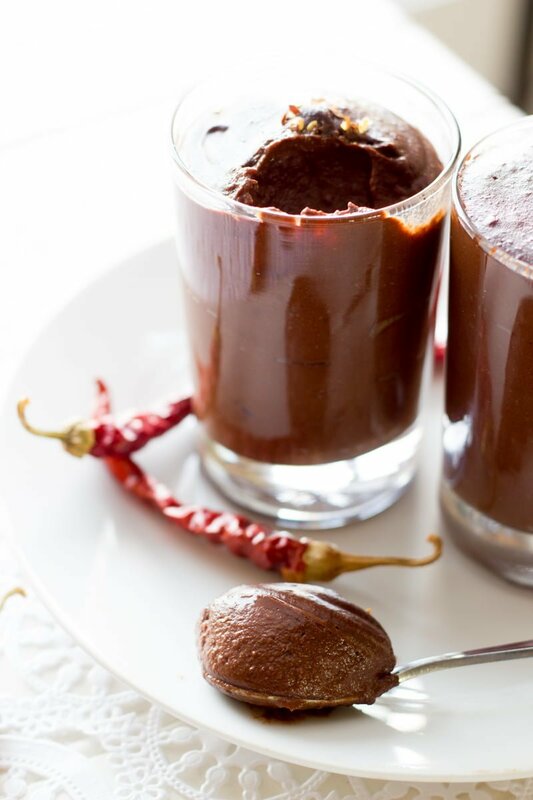 Especially if it’s as rich and decadent as this vegan chocolate pudding is? The key to getting this pudding so velvety smooth (without any animal products) is a partnership between Medjool dates and Silk® Cashewmilk. By soaking dates in boiling water to soften, and then blending them with irresistibly creamy Cashewmilk, you get a super smooth and luscious pudding—without a drop of cow’s milk or cream. Since I had to give up dairy a few months back, I’ve tried a lot of different types of nut and grain milks, and I have to say, Silk® Cashewmilk is definitely a contender for my favorite of the bunch. 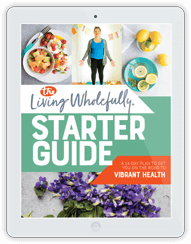 It’s creamy and smooth, and has a nice mild taste—it really does work well as a substitute for low fat cow’s milk. I also love that Silk® Cashewmilk is readily available at my local supermarket, no running to a health food store to pick up specialty milk. 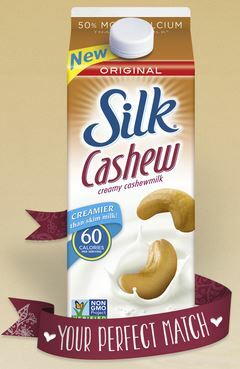 I’m so happy to see other non-dairy milks, like Silk® Cashewmilk, showing up in the dairy case! However you choose to celebrate, I hope you have an absolutely wonderful Valentine’s Day and get to spend it celebrating love with the people you love the most. Enjoy! 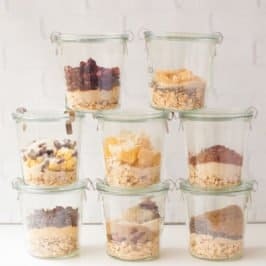 Pack the dates tightly into a narrow heat-proof container (like a small glass measuring cup). Pour the boiling water over the dates, and let soak for 10-15 minutes, or until the dates are very soft. Place the dates, water, Silk® Cashewmilk, cocoa powder, vanilla, cayenne, cinnamon and salt in the basin of a high-speed blender. 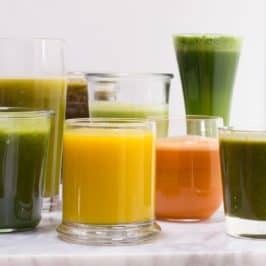 Blend on high until the mixture is very smooth and no date chunks remain. Spoon the pudding into four serving dishes and then refrigerate until cold and thick, about 90 minutes. 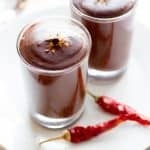 This amount of cayenne lends for just a tiny bit of a kick in the aftertaste, if you like a spicier pudding, up the amount. You’ll be tempted to add sweetener, but the dates are plenty sweet on their own—I promise! Silk® Cashewmilk is creamier than skim milk but with 25% fewer calories. You + Cashewmilk = True Love. 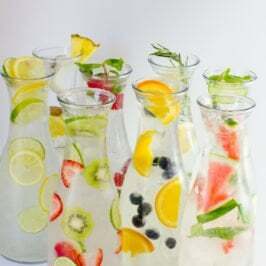 Another great recipe post! Quick question – my gorcery store never has Silk Cashew, but we buy Silk Almond all the time. Do you think the Almond version would work? If so we buy both unsweetended and vanilla, which would you use? I love Silk Almond milk, but never tried their cashew milk! I need to look and see if my store carries it. Sounds yummy though! 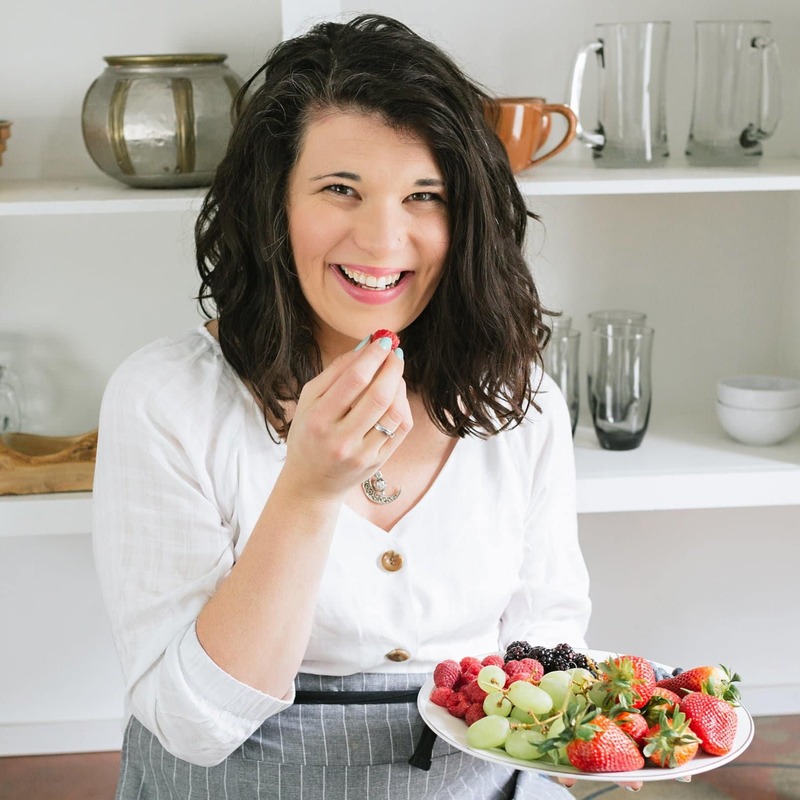 This recipe sounds delicious, and I agree, we don’t really need a heaping dessert when there really isn’t space in your stomach for it after dinner. 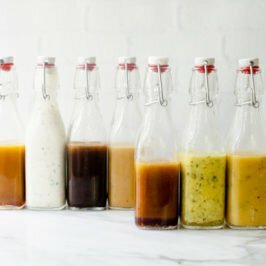 I’m a huge almond milk fan but I haven’t tried cashew milk! Must add to shopping list. Gosh you’re creative! Reminds me of all the Lindt chocolate bar flavours that I look at quizzically but end up enjoying. 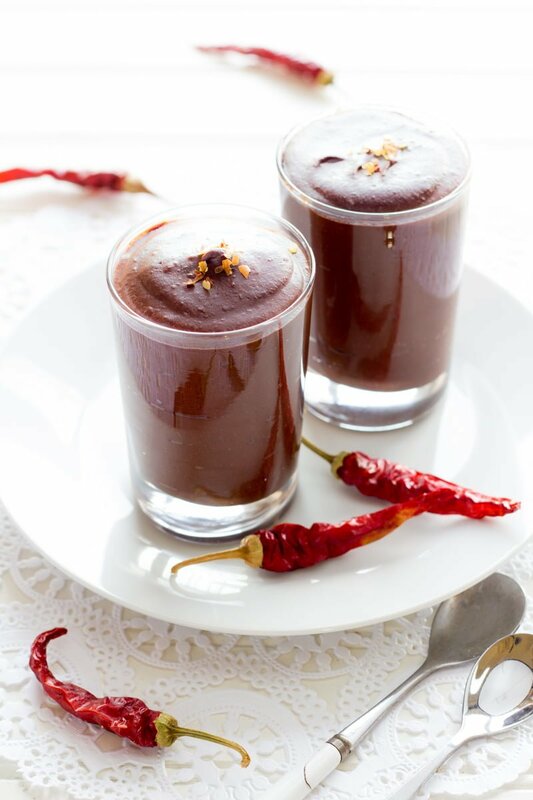 This pudding looks so rich and chocolatey and your photos are just gorgeous with the bright chilli peppers ! Oh…my…gosh. This looks so heavenly. I just want to reach through the screen and grab that from you :). Looks amazing, I need to try that milk! 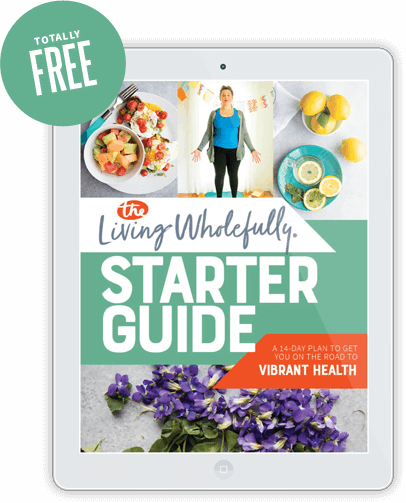 I love your approach to monetizing your blog (and your monthly reports). On other blogs I generally skip over sponsored posts but not on yours. I love that I can trust that you only post about products you really believe in and would use for you and your family. Thanks! P.S. This looks delicious! drooling over this no sugar added dessert. Unfortunately, we have a nut allergy in the house so I can’t make it, but a girl can dream (and drool). This looks like such an interesting combination of flavors! Wow! Gorgeous pudding. Sounds delicious too. This looks so delicious! I love the combination of spice and chocolate! Wow, rich, and so creamy looking. Fully decadent. This looks so delicious! I already LOVE their almond milk…I’m sure the cashew milk is fabulous! That looks so smooth and creamy. Delicious! 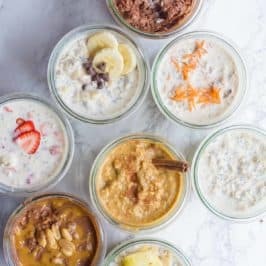 I use the almond milk and it is delicious but never knew that they had cashew and you know I never thought to make such a delicious dessert like this. I will be making this recipe! Thank you for sharing! I just made this today. Simple and fast, this is rich and decadent, and the cayenne is perfect! I may up it a little next time :) Would be great as dessert when entertaining (though why wait?). I will have to try this with almond milk and no cayenne for the kids. We always have almond milk on hand for our oldest. Have never tried cashew milk and may/may not have an allergy to cashews.